A kind reader wrote to me yesterday to inquire why I had not posted anything to this blog in January. He said he enjoyed the blog and that he hoped I was not ill, or anything. I’ve not been ill (well, okay, I have been ill, for only for about a week). I’ve just been very busy. I’m teaching online this term and that actually takes more time than conventional teaching. I’ve also been finishing a book. It’s not a book on Kierkegaard. It’s a book on figure skating entitled Sequins and Scandals: Reflections on Figure Skating, Culture, and the Philosophy of Sport. So it is a philosophy of sport book, sort of. It’s actually a collection of many different pieces that I had published on skating over the years, as well as a few new pieces. It was mostly written already, but it did take some time to put together. 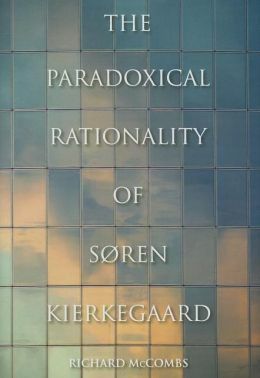 I am also finishing an article on Kierkegaard for a volume Oxford is doing on “theological epistemology” and I am editing the bibliography and writing an introduction to the forthcoming English translation of Martin Slotty’s book on Kierkegaard’s epistemology. Yes, I have been very busy. In between these projects, however, I have been doing a little Ebay shopping. One of the things that was hardest for me about leaving Denmark was that it meant I could no longer spend my spare time haunting Danish junk stores looking for fine old paintings. That was how I used to relax when I lived in Copenhagen. Sometimes, when I had been working for many days without leaving the apartment (I can actually go a long time without seeing other people because I am kind of a recluse), I would just head out to one of the local junk stores. What most people outside Denmark don’t realize is that Danes suffer from an inferiority complex relative to the rest of Europe. Den danske mindreværdskompleks it’s called (literally “the Danish less-worth complex”). Legions of Danes appear to have taken up a serious study of painting since the turn of the century, but since relatively few of them became internationally famous, no one wants their paintings. Danes buy up these domestically produced works of art when the artists are young in the hope that these artists will become famous. But of course most of them never do, so when older Danes die, their heirs generally do not want these paintings, so they end up being carted off by the local junk dealer. Every junk store in Copenhagen is filthy with them, floor to ceiling. When I lived there I could often pick up a beautiful old painting from the first half of the century in a heavy guilt frame for under $100. Over time, I gradually accumulated about fifty such paintings. Unfortunately, I could not take them all with me when I left Copenhagen. I still have plenty of paintings, so you should not feel sorry for me. I miss the trips to the junk stores though. Or did, until a couple of weeks ago when I discovered that there are some very nice Danish paintings available on Ebay! Yes, that’s right–Ebay. Unfortunately, I haven’t found any for under $100, but I’ve found some really beautiful ones in an Ebay store called Art-Gate from between $200-$500, which is really very good for an original oil painting in a beautiful old frame. None of these paintings date from Kierkegaard’s time. They are mostly from the first half of the twentieth century. Many are stereotypical Danish landscapes, though, that will mean a lot to scholars who have spent time studying in Denmark. There are some nice interiors and still lifes as well, and all at very reasonable prices. In fact, Art-Gate invites people to make offers for the paintings, so you could easily end up paying even less than the official asking price. It’s not quite so much fun as combing through the junk stores yourself, but at least you won’t have to do the packing and shipping!